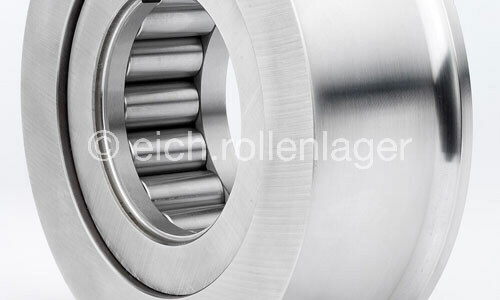 Supporting, idler rollers, press and track rollers are roller bearing types whose special feature is a thick-walled outer ring. 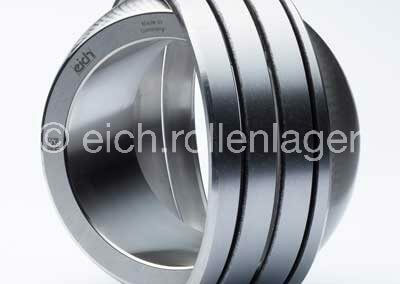 This outer ring is not installed in a hole as in other bearings, but it runs directly on one tier, a curved track or e.g. backs against a roll in straightening machines. These bearings can transmit high and jerky forces. 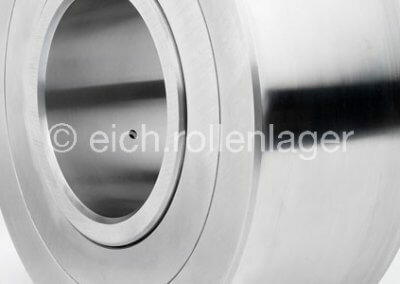 The outer rings are each provided with a profile, so that edge stresses are avoided. 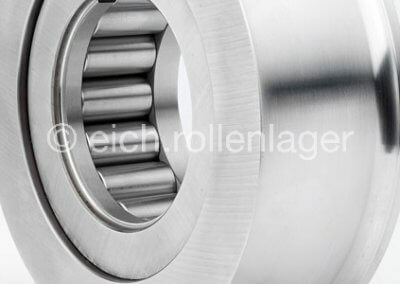 The further structure builds up of the inner ring or for wide support rollers an axis. 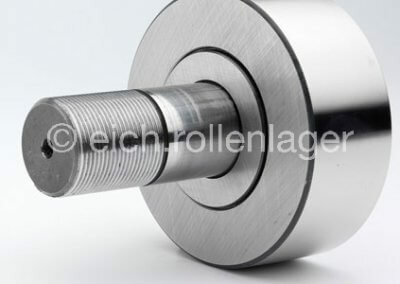 For support rollers with an axis there is also the possibility to provide the axis with eccentric bolts, so that the supporting roller becomes engageable and can compensate for certain manufacturing tolerances or errors on the connecting structure. The roller element set (full complement or with cage) single-row or multi-row. Within certain limits, the supporting rollers can also absorb axial loads, if defined and higher axial forces are expected, the support roller can also be provided with axial supporting bearings. 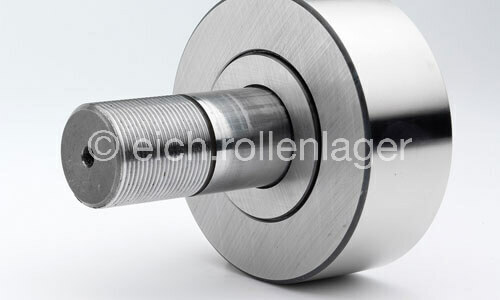 The supporting rollers are sealed with steel lamellar rings, but other types of sealings are also avaliable. 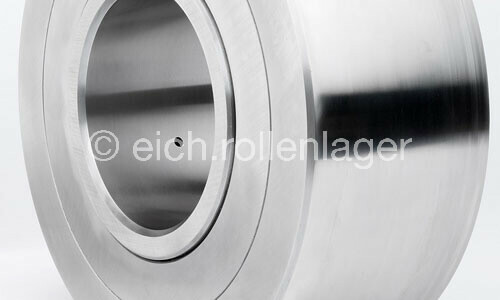 Typical application fields for supporting rollers are transport devices, conveyor systems, rolling mills, strip processing lines, plate levelers and sheet metal shears.